Groom Lake Road with the Guard Shack (right) in the forground. The warning signs are behind a low ridge. Hangar 18 and some of the larger buildings of Area 51 are visible in the background. 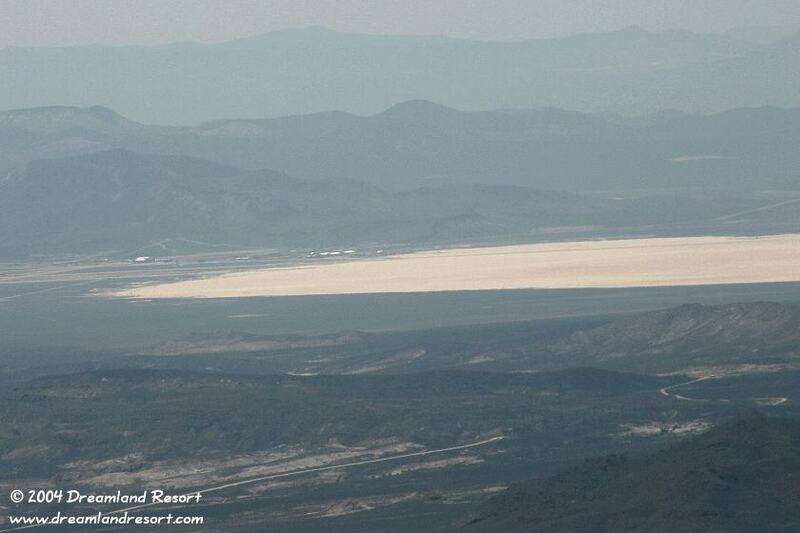 This photo shows that you are still over 10 miles away from Area 51 when you stop at the warning signs. It also shows that the Guard Shack, which is only about a mile inside the line, has a partial view of the base.